iotechnical Processes International Limited has global headquarters in Ireland and serves the wider market with offices in USA, Puerto Rico and Brazil. Research and development continues at the extensive San Juan facility, once a subsidiary of Bacardi Corporation. BPI’s proprietary anaerobic reactor technology and patented processes have benefited from 23 years of continuous funding and technology improvements. 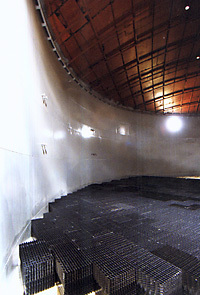 BPI’s Mark V reactor is the most advanced and reliable in the world and is based on a deep understanding of the underlying biological science. We offer a complete outsourcing solution to our clients, a business model that is based on Consult, Design, Build and Operate.